I have already beat the elite 4 and the guy still won't let me in untill I "have made a great achievement! "What does that mean? Oh and how do you get a hitmonlee by breeding? Where can I find the elevator in the team rockets hideout in the celad..
How do you get the fire stone thunder stone and water stone and I alre.. I want to catch a male and a female Slowpoke so that I can get a Slow..
You need to complete the trading machine on one island. Hitmonlee comes from Hitmontop. Use ditto to breed for a hitmontop. Sometimes though it will come out as a hitmonlee. I've defeated the elite 4, got 71 pokemon and finished the trading thingy. I can't go in! Ok so what you have to do is you have to get the sapphire from the scientist on island six. There are walkthroughs if you need more help. You need to have a hitmonlee and a ditto and put them in the daycare center together and leave them alone for a while then go back to the guy out front and talk to him if he has an egg. 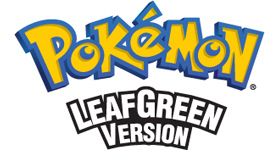 (this time the Pokemon of the elite four are much stronger,up to level 73) after you've rescued Lorelei at four island.before you do this,u need to get to get the 'rainbow pass' in order to get access to the seven islands.you'll get the rainbow pass from Celio.after you got the rainbow pass,go to Four Island and enter icefall cave.there's a waterfall there.climb it and you'll meet Lorelei there.of course,you have to get HM 07 first.It's in Icefall cave.after you did all this, go to the Indigo Plateu again and beat the Elite Four.If you won,u can go to Cerulean Cave and enter.You'll find Mewtwo there. I rescued Lorelei and why does the woman in indigo pleatu still says "LoreLei is absent"HOW? Beat the Elite Four, then, go to One Island, talk to Bill on One island. Then go to Mt. Ember Go to the far right till you see two rockets. Battle them, and go in the cave, figure out the cave puzzle and obtain the ruby. Give the ruby to Bill. Then he'll give you the Rainbow Pass, Which give you access to the last four islands. Go to the very south of...one of the last 6 islands, and you'll find a wall with braille on it, read it, and then use CUT. Go in there figure out the puzzle and get Sapphire. and give it to Bill. Then you will be able to go in Cerulean Cave! After beating elite four,go to vermillion port.from there go to island one.talk to celio.he will tell you to find ruby and sapphire.find them and give it to celio.then fix the network machine.then go to cerulean cave.he will allow you. And to get a Hitmonlee, you must breed the poke`mon (Hitmonchan/Hitmontop) with Ditto (or another compatible poke`mon) and raise it's attack. Items to do this may be purchaced at the Celadon Department Store. About the hit moniker part I don't know but about the cave this is what you have to do. Beat all the gym leaders.go battle the elite 4. To go in 2 the cave you need 2 do 2 or 3 things. 4. Talk 2 celio he will give you some missions to finish them you can get help 4m the supercheats walk through. 5. Defeat the league again. Go talk to the man out side the cave you should be able to go in. Or I have to do something different. Where can I find the elevator in the team rockets hid.. I have defeated team rocket on five island... But lor..
What level does Charizard know fire blast. I reall..
1) Where can you get Cyndaquil, Chikorita, and Totodi.. I have a mew and it wont obey me. Why? I recently got.. Obtaining the National Dex f..
What do I do in altering cave?